The Arkansas State Track & Field teams got a preview of the Sun Belt Conference Indoor Championships with the Samford Invite taking place inside the Birmingham Crossplex, host site of the 2019 SBC Indoor Championships. A-State had a productive day as the Red Wolves set four meet records and took home eight event titles. 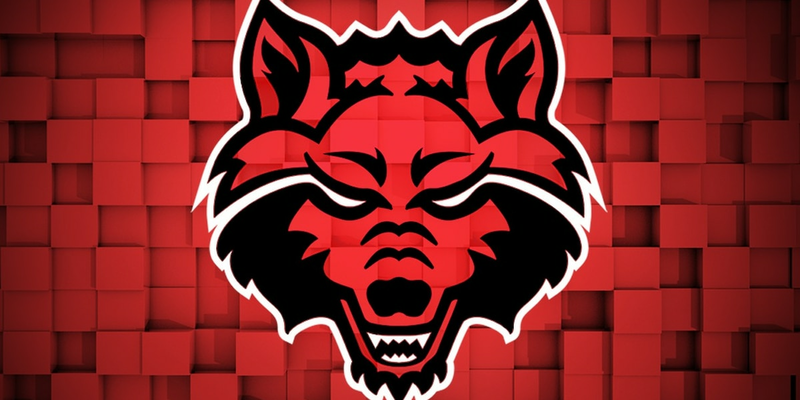 In all, the Red Wolves totaled 31 top-five finishes in the meet. Caitland Smith, the reigning Sun Belt Conference Female Track Athlete of the Week, set two of those meet records. Smith won the 60-meter dash in 7.46 seconds, the third-fastest time in program history, to break the previous meet record of 7.57 seconds. In the 200-meter dash, Smith clocked a time of 24.25 seconds, also a meet record beating the previous best of 24.93 seconds. Jonae Cook placed fourth in the 60-meter dash with a time of 7.64 seconds, the sixth-fastest time in program history. Michael Carr established the meet record in pole vault and set a personal-best for himself. Carr cleared 5.32m (17-5.50) to win the event, set a meet record and rank 10th among the program’s top-10 indoor rankings. Matthew Keown placed second in the event, clearing 4.70m (15-5.00). Carter Shell rounded out the meet record-breaking performances as he recorded a long jump of 7.39m (24-3.00). A-State swept the high jump top finishes with Tiaan Steenkamp (2.00m/6-6.75) taking the men’s competition and Sydney Lane (1.69m/5-6.50) winning the women’s competition. The Red Wolves also took top marks in two distance races with Heinrich Herbst winning the 800-meter run (1:54.98) and Madison Grimm leading the field in the 3,000-meter run (10:41.35). The Red Wolves return to First National Bank Arena for the A-State Invitational on Friday, January 25.